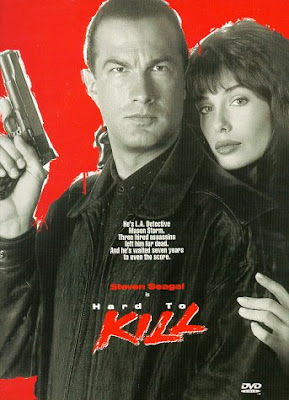 Starring: Steven Seagal, Kelly LeBrock, William Sadler. Plot Synopsis: A corrupt politician and his hitmen have gunned down Los Angelos detective Mason Storm and left him for dead. But they'll find out the hard way. Storm is Hard To Kill. Starring: Jean-Claude Van Damme, Lance Henriksen, Arnold Vosloo. Plot Synopsis: The thrill of the hunt. It's the ultimate drug, and the more intense the rush, the higher the price. 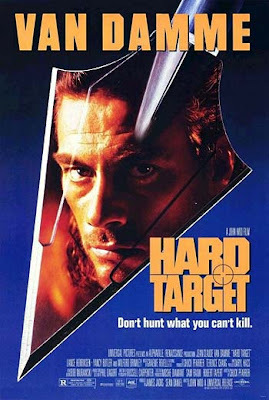 Banking on this equation is sadistic mercenary Emil Fouchon (Lance Henriksen), who is recruiting homeless combat veterans for the "amusement" of his clients -- bored tycoons who will pay half a million dollars to stalk and kill the most challenging prey of all: Man. So when beautiful Natasha Binder (Yancy Butler) comes to New Orleans in search of her missing father, she gets more than she bargained for! Together, she and merchant sailor Chance Bordreaux (Jean-Claude Van Damme) stumble upon this unspeakably evil "safari." A martial arts expert and former vet himself, Chance is the one man Fouchon can't seem to beat -- which makes him the ultimate trophy.